Envelopes can be manufactured in an almost endless number of sizes and shapes. It is important to specify how the envelope should open for aesthetic reasons as well as for functional considerations. Almost all envelopes stem from two basic constructions: they are either open end or open side. Open end envelopes have the opening and seal flap on the short dimension and are well-suited to hand insertion applications. Large open end envelopes are called catalog envelopes. 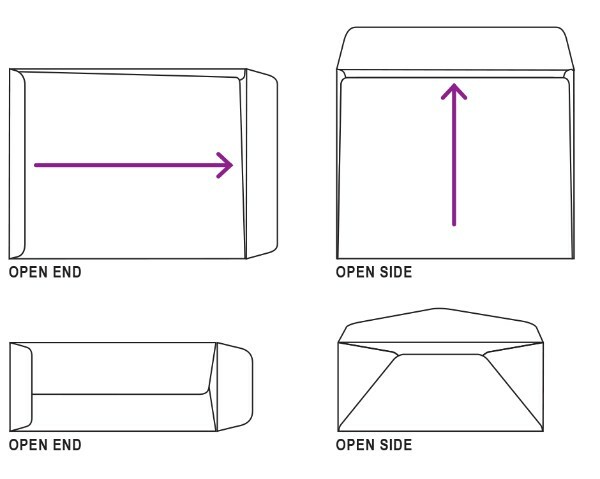 Open side envelopes have the opening and seal flap on the long dimension and are ideal for automatic insertion applications and well-suited for hand insertion applications. 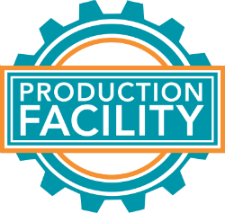 When machine inserting envelope contents it is critical that you choose an envelope that is compatible with the inserting equipment that will be used. We recommend contacting your mail house prior to ordering your envelopes to determine what construction is compatible with their machinery. Envelopes being machine inserted usually require a shorter flap (1 to 1.75 inches).